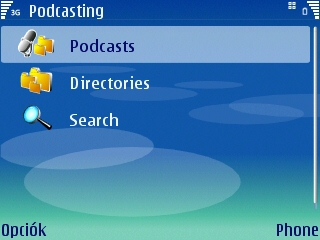 Bemused is a system which allows you to control your PCs music collection from your phone, using Bluetooth. 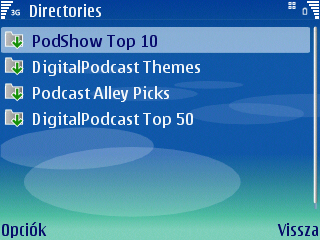 A skin-ezhető program segítségével Bluetooth-on keresztül vezérelheted a PC-den lévő alkalmazásaidat, többek közt alkalmas a Winamp, a Windows MediaPlayer vagy a PowerPoint teljes körű vezérlésére is, de sajnos a Nokia E61-esek 320x240-es felbontású képernyőjén helytelenül jelennek meg a skinek, de csak újra kell írni őket és működni fognak. 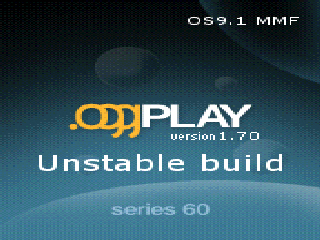 OggPlay is an audio player for smartphones. 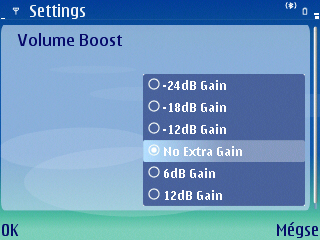 The MMF version detects and plays all audio formats too which originally supported in the phone (MP3, AAC, MP4,M4A). 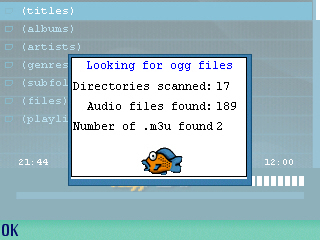 Don't forget to install the skin that has the same screen resolution as your phone. És ne felejtsd el telepíteni a telefonod felbontásának megfelelő skint, különben le fog fagyni a progi!!! 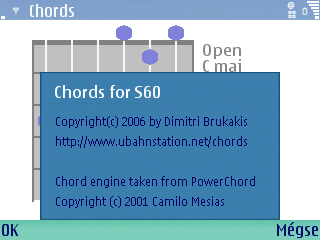 Chords for S60 is just a simple application for displaying guitar chords. 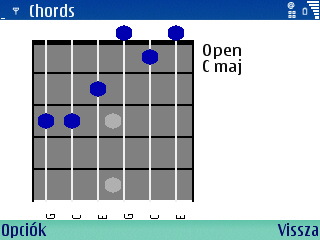 Just select a note, a key and a position on the fret board and Chords for S60 shows you where to put your fingers. 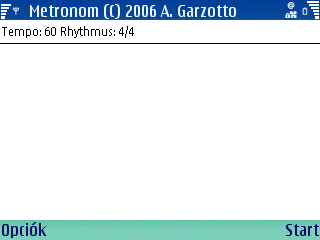 A simple metronom - pretty useful for those who play music. 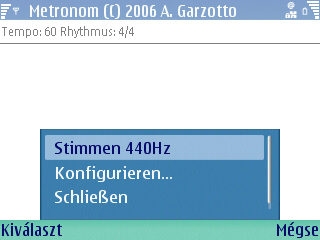 Also plays a 440Hz tone for tuning. 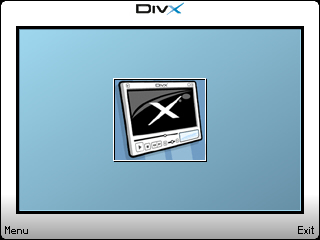 DivX player for your mobile phone. Stereo Bluetooth mp3 player for your (A2DP-less) mobile phone. Sztereo Bluetooth mp3 lejátszó (A2DP profilt nélkülöző) okostelefonokra.